"Death Blew Out The Match"
This Mutual series featured murder and mystery books that were actual Doubleday Crime Club imprints. There was a new Crime Club book "every week, at bookstores everywhere." Or so they said. 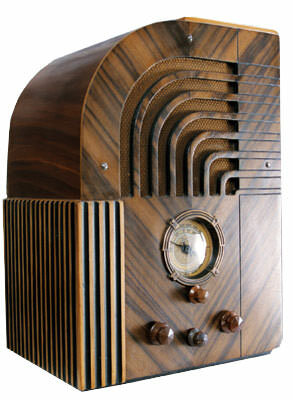 It was certainly a natural to do an old time radio show to tantalize potential purchasers with half hour radio adaptations of the books. The telephone rings"Hello, I hope I haven't kept you waiting. Yes, this is the Crime Club. I'm the Librarian. Murder Rents A Room? 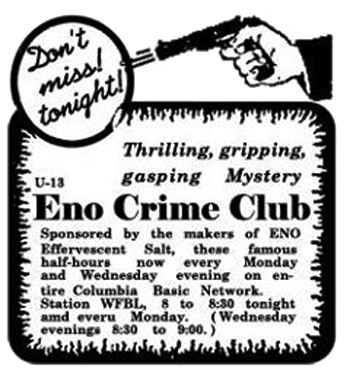 Yes, we have that Crime Club story for you.Come right over. (The organist in the shadowed corner of the Crime Club library shivers the ivories) The doorbell tones sullenly"And you are here. Good. Take the easy chair by the window. Comfortable? The book is on this shelf." (The organist hits the scary chord) "Let's look at it under the reading lamp." The Librarian begins reading our tale, and we begin another Crime Club offering let's hope it's not a burnt offering. Raymond E. Johnson played the mild-mannered, albeit ominous, Librarian. Roger Bower produced and directed. Veteran Willis Cooper (Lights Out, Quiet Please) did some of the scripts from the Crime Club books. Be the first to comment on "Crime Club"